I have talked quite a bit about traveling to see the country with our boys and because we are looking for the area of the country we would like to live in but there is another reason that runs with these. We also know that there are people out there that we would like to spend time with. We have spent the last three weeks at Ransom Wind Ranch in Chickasha, Oklahoma with Lew and Melody Sterrett. I first met Lew at Equine Affaire in 2004 when I walked into one of his ‘Sermon on the Mount’ demonstrations. Jesse remembers me calling home and telling him that there was a man he would really enjoy meeting. Over the years our paths have crossed but spending a chunk of time together didn’t work out…until now. 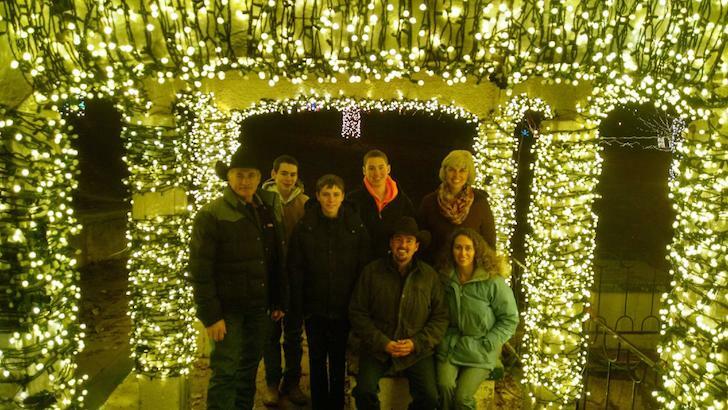 Although we have enjoyed many things during our stay here from riding with our kids on a section of the Chisholm Trail to seeing the Festival of Light display by far the most valuable thing that the Sterrett’s have given us has been their time. Melody’s dad, Dr. Dale, is 86 years old, still rides and took our boys out to work with him building fence on multiple days. Dr. Dale has done many things in his life including starting Miracle Mountain Ranch as well as being the former president of Practical Bible College…you can bet that the boys learned more than fence building during their time with him. And did I mention he still saddles up his own horse and heads out to ride? Jesse and I have benefited greatly from Lew and Melody giving us their time as both an example of a married couple as well as their coaching with our marriage. They have been married twenty years longer than we have and have a wealth of knowledge that they have willingly shared with us. 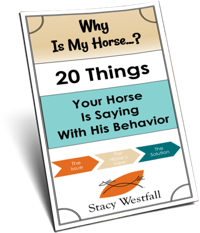 It is interesting to me that it is often easier to search out help if we want to improve our horses…but we fail to do the same if we want to improve our marriage. Although we will be pulling out this week you can be that we WILL be stopping by again…and yes Lew, you can take that as a warning, lol. Needed that quote this morning. Have been anxious about not having the desire to ride in the cold weather (must be part of my journey). 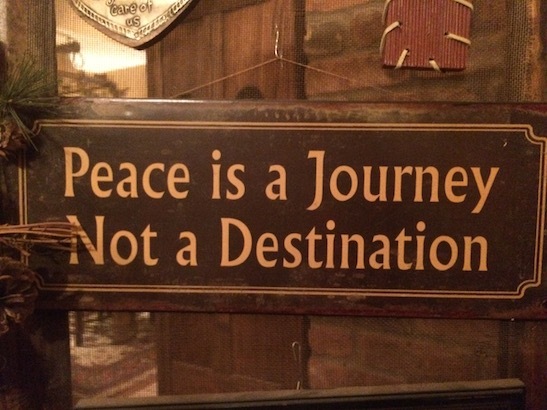 Also, my husband and I are celebrating our 50th wedding anniversary all this year which brings great peace too! Stacy once again thank you for sharing this adventure with all of us. 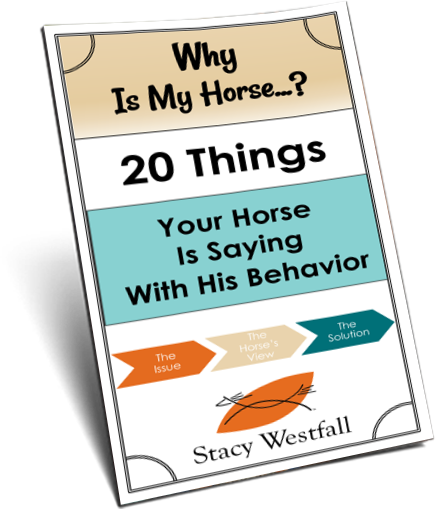 I have a wonderful husband and a wonderful horse life, even though my husband rides/prefers his iron horse as does my two boys (6 and 7) over riding one of my horses. It does my heart so good to see the 4 of you and the wonderful experiences that God is giving you all on this journey!